Haviland, Kiowa County, Kansas, by Nininger and Figgins. 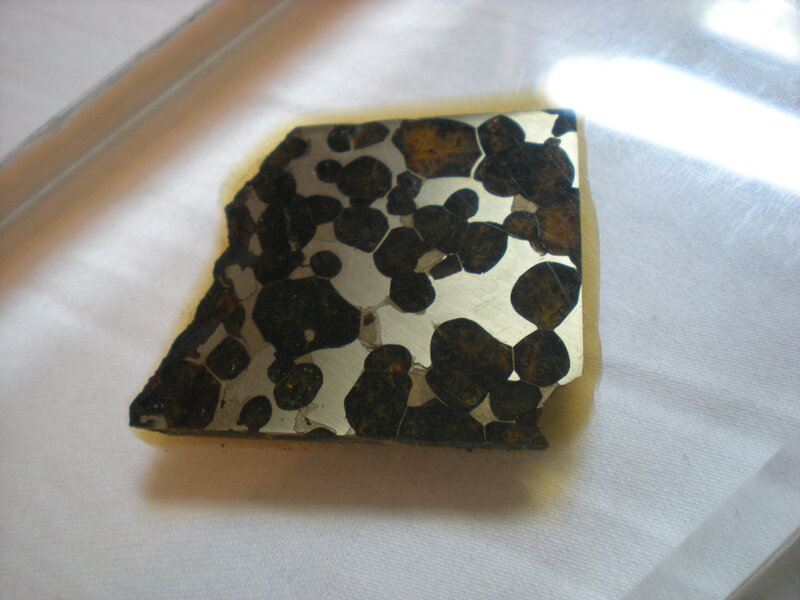 Brenham is a farily well-known meteorite; many other resources are available online. 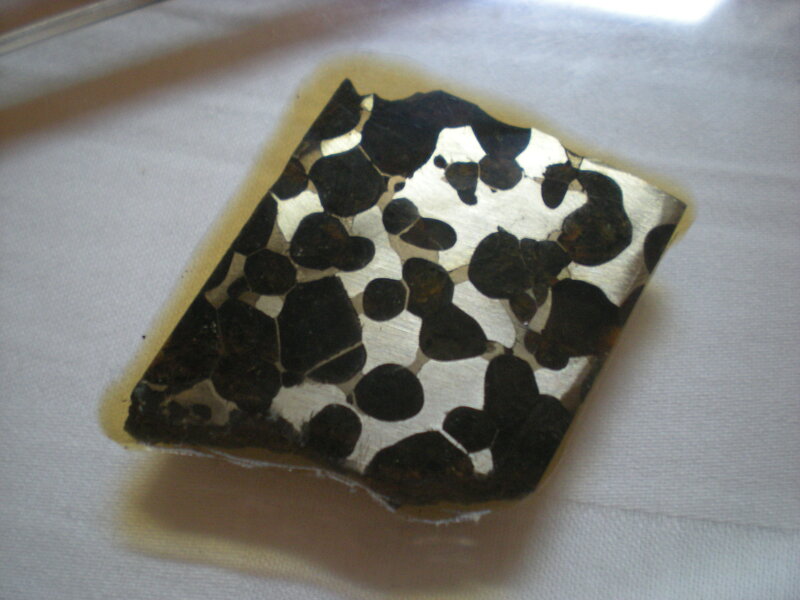 This 34.2 gram part-slice was mounted in plexiglass and oil by Nininger. This preparation was devised in order to keep the slice from rusting; Brenham has been known to have some rust issues, though intact specimens are usually safe.